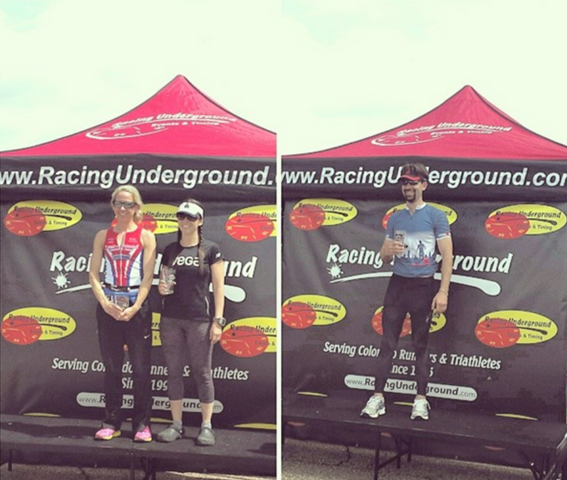 It’s been a while since I’ve shared a race report. In fact, it’s been almost 2 1/2 years since I’ve done a multisport race. I didn’t think that could possibly be true until I did the math. 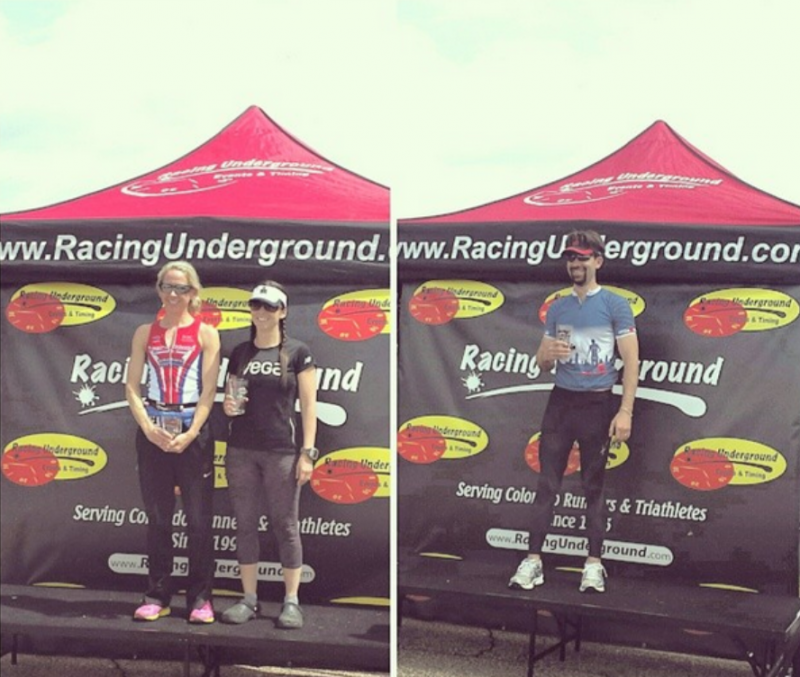 This was the last of a three race duathlon series that is hosted by Racing Underground. Unfortunately, this was the only race Kirk and I participated in, instead the full three we originally planned. The first was rescheduled months ago and conflicted with our backcountry hut trip. The second was two weeks ago and we honestly chickened out with cold temps and 20-40mph winds. The third and final race was near-perfect weather, before the winter storm rolled in on Sunday. The day before the race, we pulled together our gear. I realized that it has been so long since I raced, that I don’t even own tri shorts anymore. I had two options – wear cycling shorts and run with all that padding, or skip the padding and wear tights. I decided to choose comfort on the run over comfort on the bike and wore gym shorts under a pair of capris. 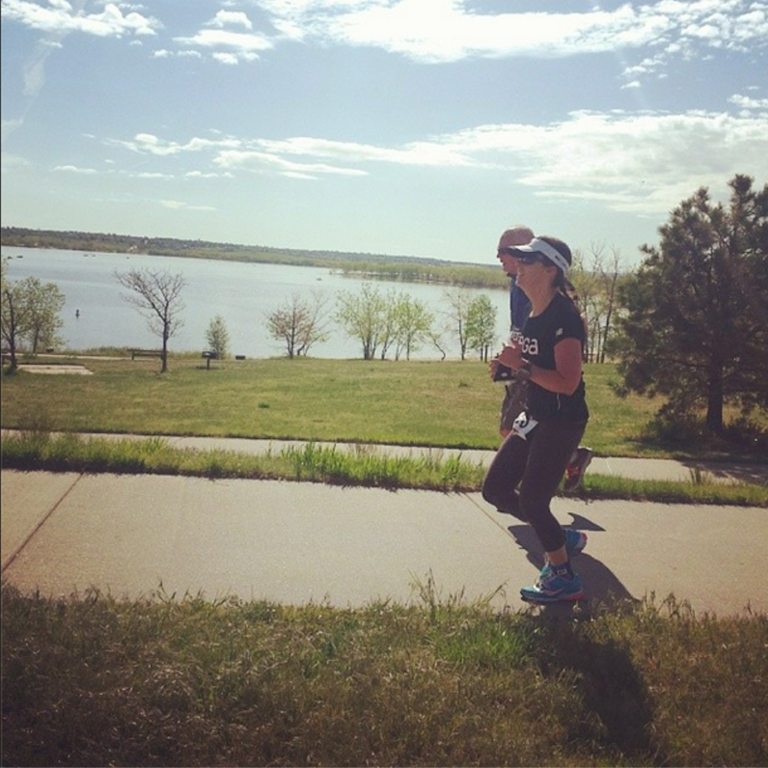 What I wore: Swiftwick socks, MPG shorts, Ellie capris, Fabletics sports bra, Vega technical shirt, Asics arm warmers, globes, visor, Saucony ProGrid Guide running shoes, and Louis Garneau Tri shoes. We arrived at the race early…well for us anyway. The race was at Cherry Creek Park and we parked about a mile from the start. 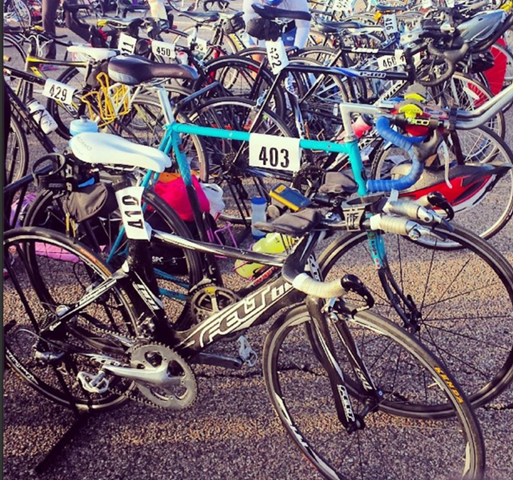 After checking in, we had our choice of racks with the rest of the short-course athletes. Surprisingly, no one had taken the front spot near bike in/out, so I claimed it for myself! My goals for this race were to finish with a smile and not wreck on the bike. My training leading up to the race was okay, but not planned to prepare me to go fast. This was a fun goal to give me a target before my next competition. And I had only ridden outside once during training, which was not what I planned. No fancy mounts or dismounts were planned for this race – I just didn’t want to fall over! The first run was a 2K and I decided to aim for 5K pace on this leg. I took off too fast (a constant problem for me), but ended up just over my goal at an average of 7:45/mile. I warmed up nicely on the run and was ready to ride! I moved through transition efficiently (less than a minute) and mounted my bike quicker than expected. The ride was two laps on an out & back course over the dam, with a total distance of 18K. It was a beautiful ride, but I spent more time focusing on my pacing and not hitting potholes or uneven pavement. I honestly didn’t know it was two loops until I saw Kirk at the first turnaround. At the end of the day, I was happy with my pacing and I accomplished my goal of not falling over! I stopped my bike and stepped off when I got back to transition, the safe option right now. I spent a little extra time in transition taking off my arm sleeves and gloves for the second run. It had really warmed up while I was on the bike. I headed out for the second run (a 5K) and I knew this was going to be rough. I had a stitch/cramp that covered the entire front stomach for the full 3.1 miles. I couldn’t push myself through the pain and took more breaks than I care to admit. My average pace was much slower than my goal and I was so happy to see the finish. In the photo above, you’ll see my 66 year old running buddy for the end of the run – he pushed me to keep going when I really needed it! After I crossed the finish line, I laid down on the ground to recover a bit. I realize this is not the ideal recovery, but I didn’t care. Then I got up and walked around with Kirk while waiting for results. I was honestly shocked to see that I ended up with 2nd in my age group. I actually never got passed my anyone in my division after the start of the race. Not bad. Kirk was the real star today, as he earned 1st in his age group and 7th overall. I was so proud of his race – almost perfect pacing the whole way through! For me, I look for nutrition products that are clean, mostly plant-based, and filled with the highest quality nutrition to fuel my active life. 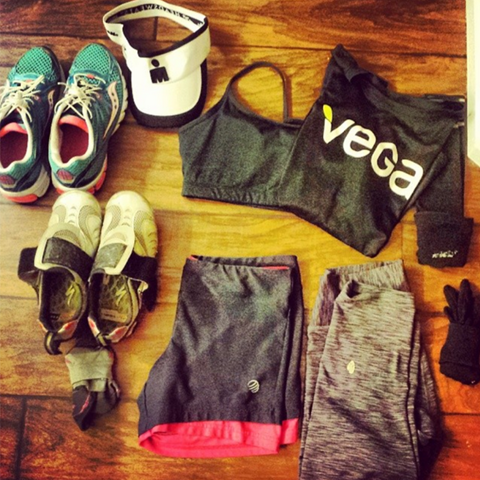 In this weekend’s duathlon, this meant fueling with Vega Pre-Workout energizer for an extra boost 30 minutes before the race. For most of the race, I just used water, but I had Vega Electrolyte Hydrator in a handheld bottle on the run, Even though it started out cold, it finished pretty warm and I appreciated the extra electrolytes for the last part of the race.